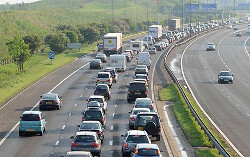 Residents of the U.K. are well aware of the different driving circumstances they must encounter on a daily basis. The same can be said for people who live with the United States. However, if you ever choose to visit the UK, and you decide to drive within certain cities, you need to be aware of some key differences to make your driving experience stress-free. The first main difference between driving in the United Kingdom and the United States is traffic laws. You must be ready to adapt to new driving habits, while making decisions that will ultimately help you to navigate major cities safely. The first major difference that drivers from the U.S. encounter in the U.K. revolves around driving on the opposite side of the road. Residents of the united States are familiar with driving on the right side of the road, but if you travel to the U.K. you must drive on the left. This is not a difficult endeavor for most people. However, it can be made more difficult by the type of car you drive. Make sure to choose a car which is automatic, unless you are very familiar with driving a stick shift. It can be tough to manually switch gears while maintaining focus on the road. Choose which cities you want to drive in wisely. For example, if you choose to drive a car around London, then you stand the chance of having a truly eye-opening experience. London can become very congested at certain intersections, especially when work traffic becomes thick. Pedestrian traffic is another concern that you should be fully aware of. Buses and taxis are a much better choice for getting to your destination safely. The combination of following new traffic rules while following directions can sometimes lead to unnecessary traffic accidents. The traffic laws are certainly different than they are within the United States. The key is to remember that most of them are opposite. A prime example is left versus right turns. In the United States, cars must yield to oncoming traffic when making left turns during a green light. In the United Kingdom you must remember that you need to yield to traffic when making right turns. This simple fact is one of the main reasons that tourists get into automobile accidents in the U.K. While it may seem like good common sense, accidents can happen at any moment, so you must be aware of your surroundings. Driving in the U.K. does not have to be a hassle or dangerous. In reality, if you’re a good driver in the U.S., chances are you will be a good driver in the U.K. It is good to always practice defensive driving as well. This enables you to keep a look-out for impending collisions or irresponsible drivers. Make sure that you have your travel plans ready to go before you leave for your destination. This can help you to remain safe while driving in an unfamiliar area.